After driving the Dempster Highway on gravel road, the welcome sign to the Yukon is a nice sight to see. Be aware of the hill sign as well as there as some steep, winding grades that await you on the other side of the sign. 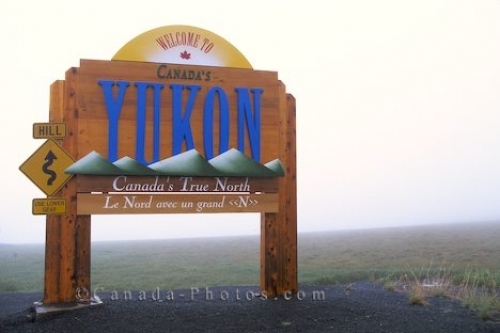 Picture of the welcome sign to the Yukon Territories in Canada.